The imageFORMULA DR-F120 scanner enhances office productivity with reliable, versatile, three-way scanning, ADF flatbed, and dedicated business card scanning, plus rapid, one-pass duplex scanning. 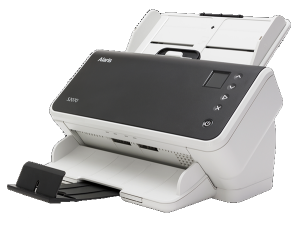 This scanner's simple, user-friendly design and bundled software package make it indispensable to any office environment. The DR-F120 scanner introduces one-pass duplex scanning to desktop flatbed scanners with its Automatic Document Feeder. 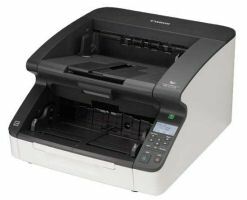 It is capable of reliable batch scanning at rapid speeds of up to 20 pages / 36 images per minute in black and white and up to 10 pages / 18 images per minute in color. 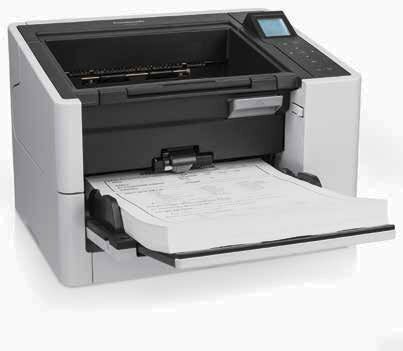 The DR-F120 scanner offers versatile three-way scanning capable of handling the widest range of document types. Scan batches of up to 50 documents using the ADF or scan atypical size documents such as books and magazines embossed plastic cards or fragile documents with the flatbed. In addition to using the flatbed this scanner also simplifies business card scanning with a dedicated business card feeder tray. You’ll be ready to start scanning within minutes of taking the DR-F120 scanner out of the box. The new Easy Installer tool helps ensure trouble-free installation of the bundled software, and the Hi-Speed USB 2.0 interface allows plug-and-play connectivity. The only challenge you'll have to face is determining which documents to scan first. assigned to five user-defined Scan-To-Job buttons for quick and easy access. button to Scan-To-Print, Scan-To-E-mail, or Scan-To-Network file folders. Secure sensitive documents by creating encrypted and password- protected PDF files. 4.7" x 18.5" x 13.2"
There are no Accessories available for this model. Please call for Parts. comments: 5 stars "We have had this machine for approximately 5 years and it is one of the best purchases the company has made.It is very easy to operate and issues are easy to troubleshoot. I recommend it." We offer gift certificates for verified purchase reviews. Please follow the link below to add your personal review.